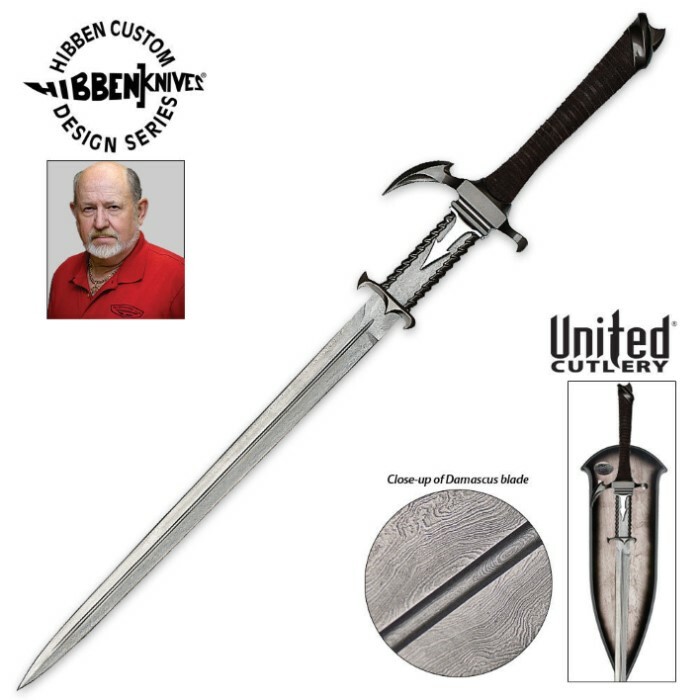 Gil Hibben 2009 Dragons Lair Sword Damascus Edition | BUDK.com - Knives & Swords At The Lowest Prices! Famed master knife maker Gil Hibben has improved his Dragon's Lair sword with the all-new Damascus edition! It measures 38 1/8" overall and features a double-edged 21 1/4" blade constructed from heat-forged Damascus steel. The Damascus steel is folded numerous times by master sword smiths to more than 2,000 layers creating a one-of-a-kind Damascus pattern. 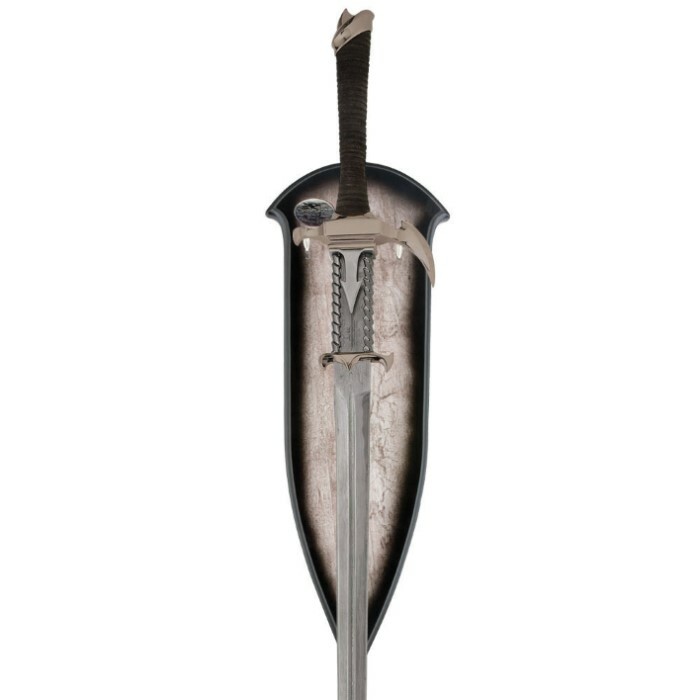 The guard, pommel and blade collar are solid cast metal construction with a dark nickel finish. The handle is wrapped in custom genuine leather for a superb grip. This item includes a solid wood plaque with brass cloisonné medallion and a certificate of authenticity. United Cutlery, GH5016D.